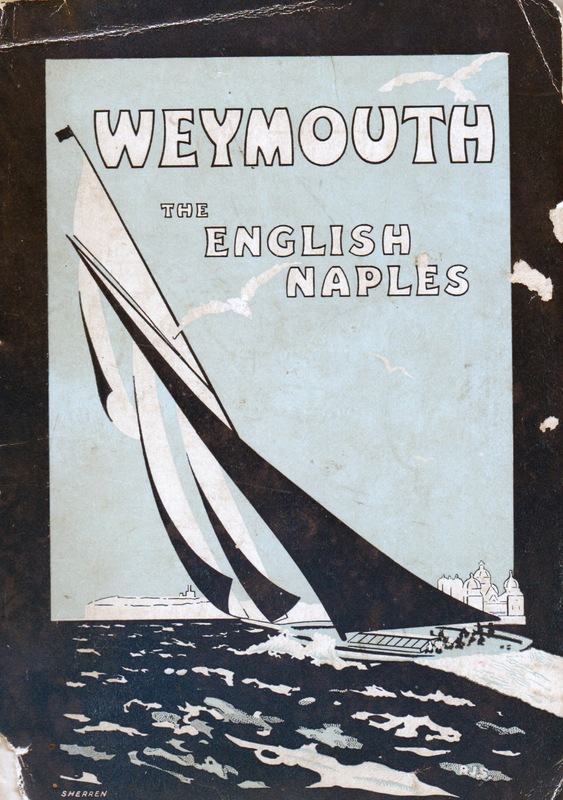 Weymouth’s long history with the luxury yachts. I had always heard my Dad talk about the Yacht Regattas that used to take place in our beautiful bay in the early 20th c, and the luxurious and immense vessels that would sail into view in all their glory to attend these momentous occasions. Like most self-centred youth, it used to go in on ear and out the other!…stifling a yawn as his tales went on to describe the scene and the people. How, oh how I wish I had listened to those tales. With age and hindsight, I realised too late they were not in fact boring old family stories, they were part of Weymouth’s history… her maritime history, of which there is a great deal. Weymouth has always had a variety of vessels sailing in and out of her quaint harbour, or moored out in the beautiful bay. Some were work vessels such as trade ships, or troop carriers, some were smaller ships, used locally, coastguard men, pilots, naval, then later there were the pleasure boats. With the arrival of King George III in town, so too followed the rich and elite, many arrived on our shore via their luxury vessels. As time went on, Weymouth started to attract more and more those who had the money to own and race these great luxurious yachts, our sheltered bay being the perfect setting for such events..
During the Victorian era, for Weymouth, the season started with the arrival of the Queens Own Dorset Yeomanry troops to the town in the May, this kicked off the years festivities of parties, balls, fireworks and fun, it marked the arrival of the long term tourists and day trippers, and it closed with the Weymouth regatta at the Summers end. Weymouth Regatta was born. A seaside festival to celebrate the maritime history of our shores and the advancing age of Victorian technology. The rich and the working man both pitting their skills in competitions and races…there was money to be won, as well as the prestige and of course, the obligatory cups that went along with these occassions. One such cup is now in the hands of the V&A Museum. 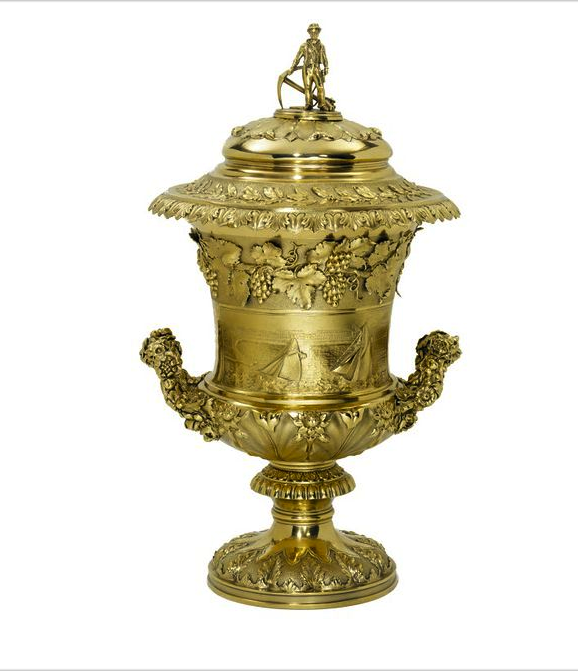 Produced in London by Emes and Barnard in about 1827-1828, this large, ornate silver-gilt cup and cover was once a much cherished prize for the Weymouth Regatta races. One of the scenes depicted on the cup itself is of yacht racing off Weymouth. Each year, men fought for the opportunity to hold this cup, those that could afford to race such vessels weren’t interested in the prize money, it was the prestige they coveted. What follows is a little snippet from one of the years reports on the weeks events. The annual regatta of the Yacht Club of this town commenced yesterday, and as the weather for a few days previously became remarkably fine, the town was filled to excess by persons of respectability from all parts of the country, as well as from Portsmouth, Cowes, Southampton, and Bath, to witness an amusement which has become so fashionable, and one which is so truly characteristic of the nation. The superb large silver cup, value fifty guineas, was won in fine style by Sir George Leed’s Charlotte. Several matches took place in the course of the day, together with row boats, and canoes, which were very interesting to witness in this splendid way. 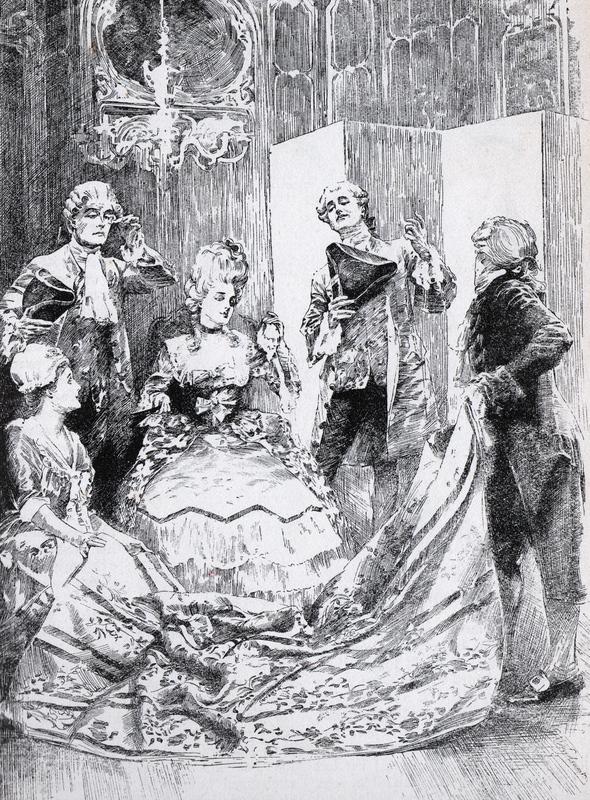 In the evening the members and their friends dined together at Luce’s hotel, when a superb dinner was prepared for 100 persons; the whole was placed under the direction of Captain Stevenson, to whom the regatta club is under very great obligation, from the exertions and zeal which he has uniformly manifested in the formation and support of the regatta, and particularly for the order, regularity, and conviviality, which closed the evenings festivities. Sir George Thomas Bart, being the steward for the year, presided, and was supported on his right by Lord Ilchester, on his left by Sir George Leeds, Bart., and on each side of the table by all the distinguished members of the Royal Yacht Club. The usual toasts were given on this occasion. The Duke of Clarence was drunk,(not literally…I hope!) coupled with the prosperity of our navy.”Lord Hill and the Army,” followed. The second days sailing is for a superb silver cup, presented by the ladies of Weymouth to the successful candidate, whose yacht is not to exceed 25 tons, and the bone fide owner to be a gentleman. The coveted cup that year was won by Sir G Leeds with his magnificent yacht Charlotte. 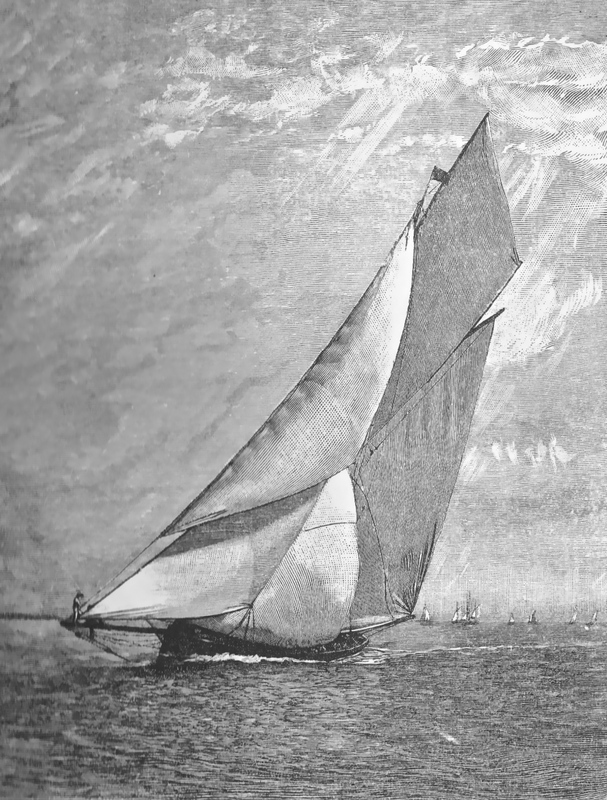 He beat Hebert Corbett Esq.,’s vessel, the Corbett. On the second day of the events, not for racing, but for the boats themselves, was the Weymouth ladies cup, it was presented to James Weld Esq. for his yacht Paul Pry. Winning second prize was the boat of J Wright Esq., with his vessel, Little Vixen, he walked away with 10 sovereigns. Third prize went to a fishing smack, they too won a prize of 10 sovereigns, that was awarded to William Shilston with his working boat, the Fox. The days events were open to one all, not that one and all could afford to sail in such magnificent vessel, despite that, people flocked to the town to watch the grand occasions, and enjoy the entertainment laid on in the form of rowing races and the obligatory grand firework display out in the bay to end the night. 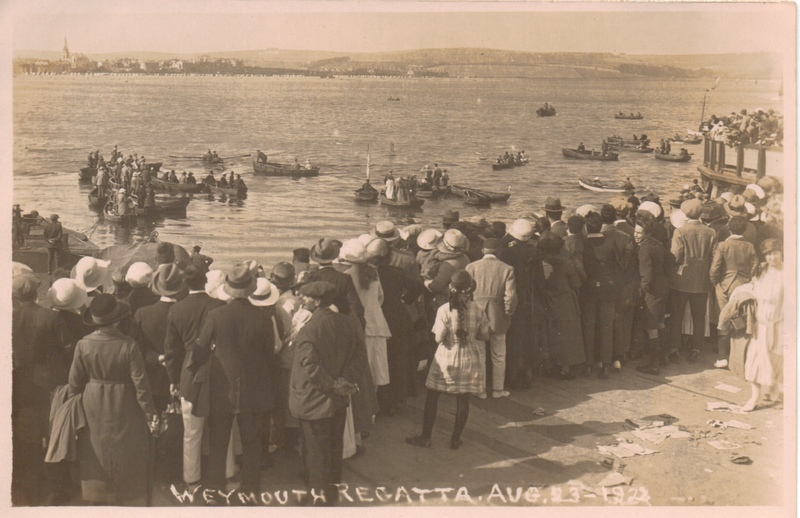 This tradition of the Weymouth Regatta continued on up through the Victorian era, it drew the crowds in to the town, when the railways arrived, so too did the trains by the dozen from all around the country, these were specially organised day trips to these much advertised events. The esplanade would be chock a block with the day trippers and locals. 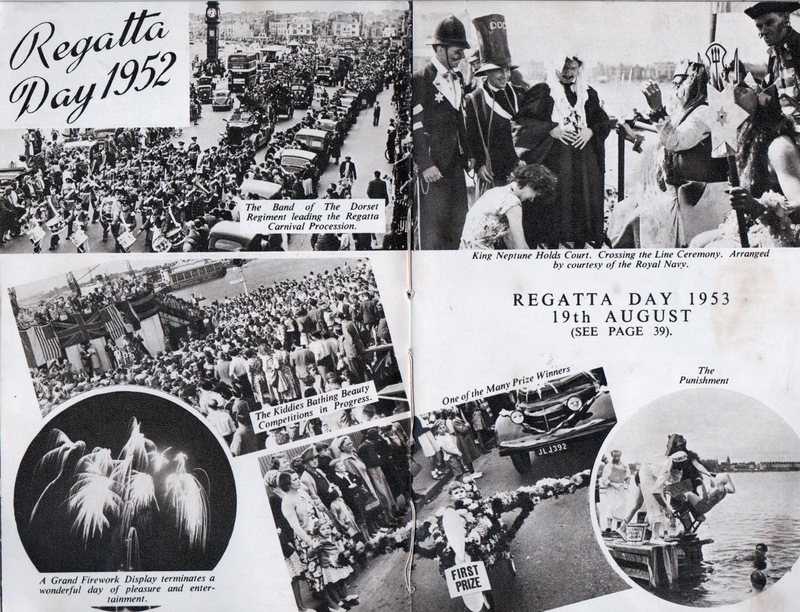 Even on into the 20th century, the tradition of the Regatta continued, here depicted on a postcard from 1923, with people watching the smaller boat racing from the pier. I wonder if my Dad could have been in that crowd somewhere, dressed in his smart sailor suit and straw boater hat? In fact that year the big race had to be abandoned, because the large yachts couldn’t make their way over from Cowes where they had been attending the Cowes regatta. High winds and stormy seas prevented their travel! The decade I was born, the 50’s and still the tradition held, by now the Carnival and regatta were combined in one week. But it wasn’t to last for much longer….a great tradition lost and confined to history. 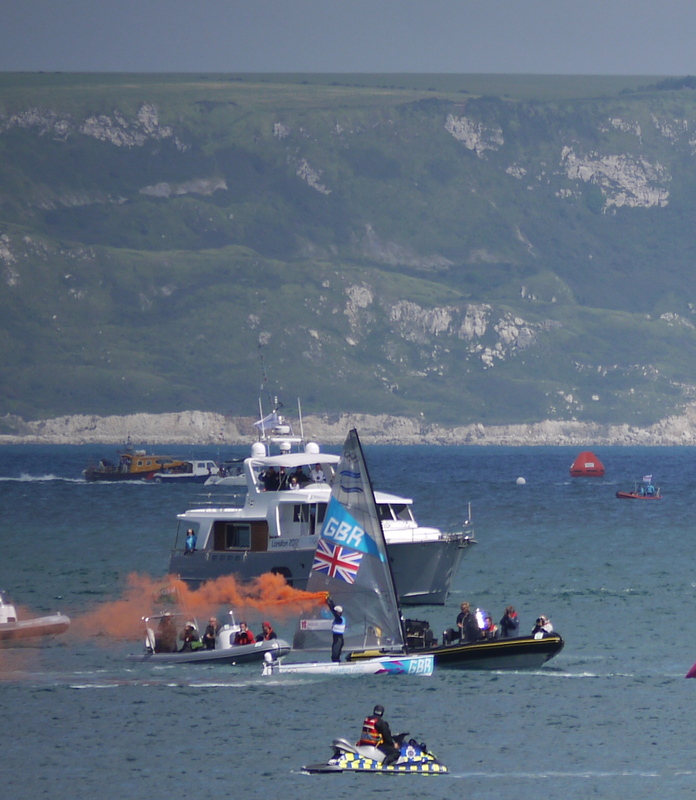 But Weymouth still managed to attract the rich and famous, and the TV coverage from worldwide media when we were chosen along with Portland to host the 2012 Sailing Olympics and Paralympics. The yachts were smaller, far more technical, but probably cost every bit as much as those earlier luxury vessels. The eager crowds gathered along the piers, cliffs and esplanade, pretty much as our forefathers had done in the Victorian era, waiting to cheer on Ben Ainsley’s attempt for a gold medal in the games…it was a moment to savour. …did one of them just yawn? ***************************************************************************************Writing a book, blog, short stories or your own family history, then why not bring them to life with historical graphics. Check out my Etsy site for Victorian illustrations, many local ones being added all the time from my own personal collection. 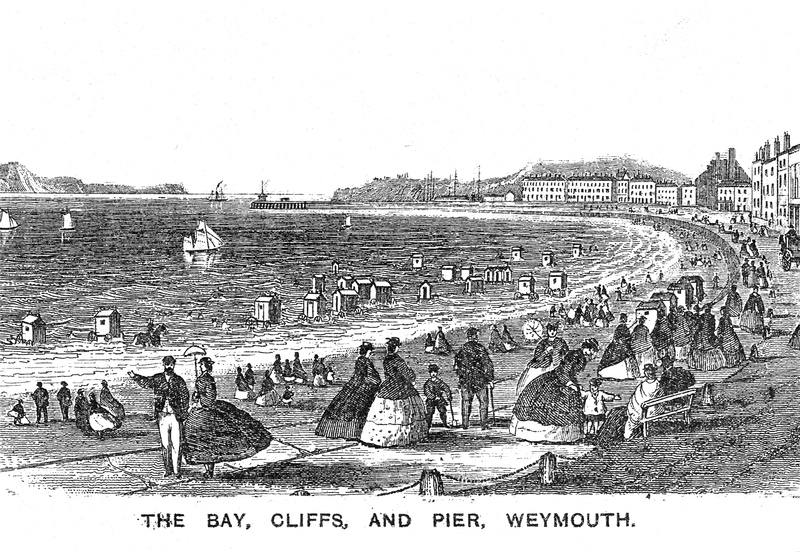 Previous Post Cycling on the Weymouth Esplanade…nothing’s new under the sun! Next Post Victorian Weymouth Bicycle Club. Really enjoyed your article on the history Weymouth Regatta. Would you mind if I added some of this content and linked back to your site from https://weymouthregatta.uk ?